This entry was posted in historic preservation, mid-century modern, set design and tagged angie dickinson, dean martin, frank sinatra, frank sinatra jr., las vegas, the desert inn, the flamingo, the rat pack, the riviera, the sahara, the sands by Toby Weiss. Bookmark the permalink. Great article Mr. Weiss! I just noticed…the green and black office interior shown above has the same color scheme as Gordon Gecko’s office in Wall Street. Very striking! 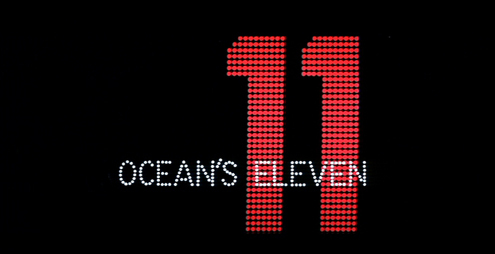 What was the address of the home used in Ocean’s 11, owned by Kurt & Ketti Frings? Thanks for posting these pictures of old vegas on the strip. I’ve been looking for pictures of what these casinos looked like on the inside. Any idea where any are? I see Louis Prima and Keely Smith appearing at the Desert Inn. That’s a good bill. Swingin’, baby! one has to wonder as the interest in MCM becomes ever more mainstream, will Vegas start spending millions to rebuild what it threw away? on a related note, is the house in the Blake Edwards movie “The Party” starring Peter Sellers and Claudine Longet (pre-scandal) real?